Wool: This natural yarn comes mostly from sheep fleece but it could also be made of the downy coat of the angora rabbit or of camel hair. For rougher knit works sometimes you could also use wool made of goat hair. Sheep wool however is by far the most popular, because the hair is very elastic and durable. Woolen yarn also varies in thickness depending on how many individual threads it is made of. Merino yarn: Merino yarn is made from the fleece of the merino sheep. Merino wool is very soft and efficient in regulating body temperature when worn against the skin. It absorbs some water, but also retains warmth when wet. The merino wool also provides warmth without overheating the body. As its fibers are finer, this is one of the softest types of wool. Silk: Silk is a natural fiber obtained from the larvae cocoons of the silkworm. The thread obtained from one cocoon could be between 300-700 meters long. When boiled in hot water the silk thread softens and gets shinier, which makes silk wool excellent for finer knit works and clothing like dresses, shirts and tablecloths. Cotton: Cotton fiber is obtained from the cotton plant. Cotton is soft, durable and easy to care for, which makes it very popular for producing textiles and knitting yarns. However, because cotton is prone to shrinking it is usually mixed with wool or synthetic fibers. Linen: Linen fibers are obtained from the flax (linseed) plant. Linen yarn is very durable, even more durable than cotton yarn. As linen is difficult to dye, it usually comes in its natural color. Linen absorbs water and linen clothing provides coolness in warm weather. 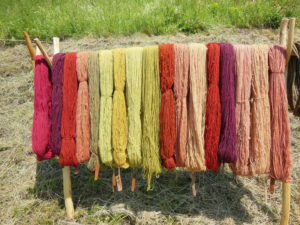 Mohair yarn: Mohair yarn is very soft and silk-like and is obtained from the angora goat. Angora yarn is very durable and resilient, but is mostly known for its luster and sheen. Mohair has excellent insulating properties and is a great choice for knitting both winter and summer clothing. Alpaca wool: Alpaca yarn is a natural fiber obtained from the fleece of the alpaca − a small domesticated llama like animal typical for the mountainous regions of South America. Alpacas are bred specifically for their wool. 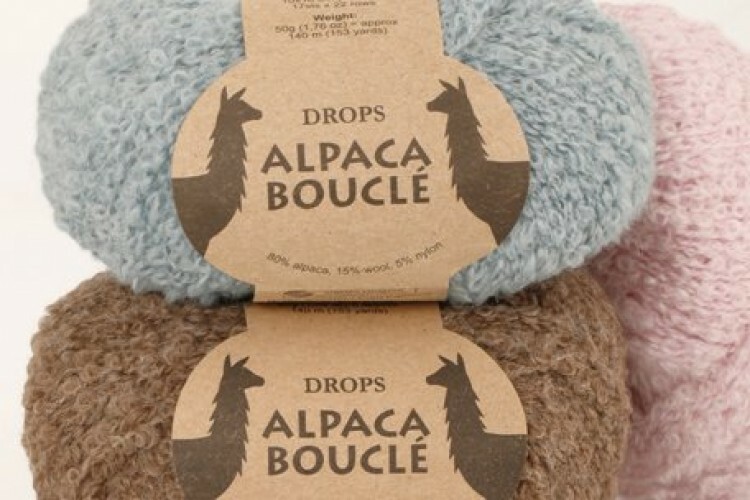 Alpaca fiber is soft, durable and silk-like and could be heavy or light depending on how it is spun. Compared to sheep wool it is warmer and doesn’t prickle. Synthetic yarns: Synthetic yarns have become very widespread and synthetic fibers are often mixed with natural fibers to produce better quality yarns. Synthetic yarns have the advantage of being very durable and long-lasting. Among the drawbacks of artificial yarns is the fact that they don’t absorb water well and create static electricity.